Home » Celebrities » Featured » Spring Break 2017 Concert Announcements Coming Soon! Spring Break 2017 Concert Announcements Coming Soon! The anticipation level has already reached a feverish pitch as to who will perform during Spring Break 2017 in Panama City Beach. The Beach Bash Music Fest will soon announce its lineup of performers and other venues including Spinnaker and Club Lavela will soon follow with their announcements. Keep your eyes on this page for announcements regarding all concert performers for Spring Break 2017. Some of the biggest performing acts will set foot on the biggest stage of the beach for the Beach Bash on March 15th. 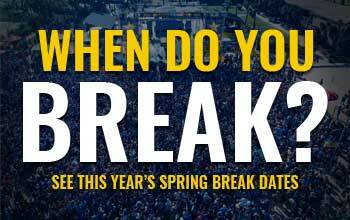 Stay tuned for more updates and details regarding Spring Break’s number one daytime event and for other concert info throughout the entire Spring Break period!